Geotypografika » Blog Archive » Greg Chadwick / For Neda. A California artist manifests the world’s collective mourning. 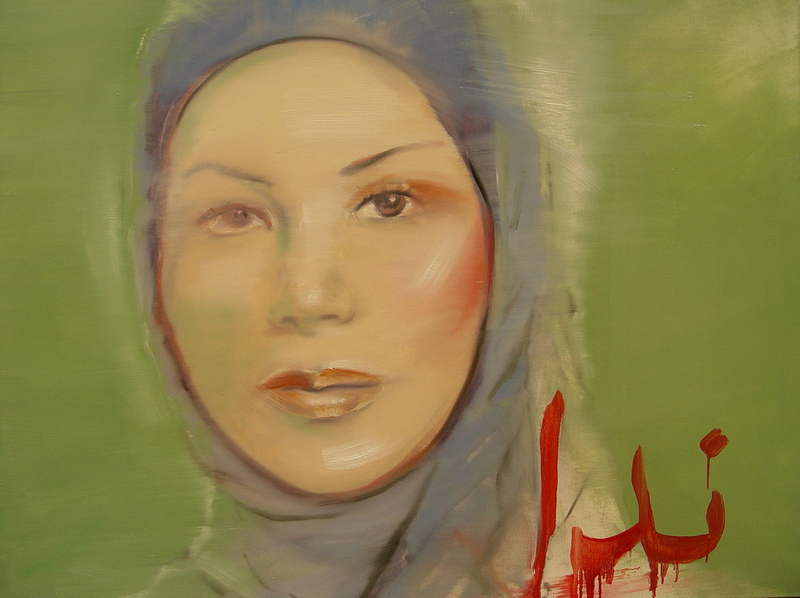 Above: Greg Chadwick, The Call – ندا - Neda, 2009. See also his blog, Speed of Life. Mamnoon am, for sharing this work here, Greg. Previous: It’s about franken time. Next: Adria Chilcote / Don’t Give Up! Greg Chadwick / For Neda. : A California artist manifests the world’s collective mourning. This entry was posted by Erik Brandt on Thursday, July 2nd, 2009 at 9:29 AM	and is filed under Aktuell, Art, Education, Free Radicals, Geotypografika, Globalization, International, Internet, Typografika, Unreasoned Love.